*First President Obama was criticized for answering a Mariah Carey/Nicki Minaj question on live radio. Now comes news that he has picked up the endorsement of national laughingstock Honey Boo Boo. 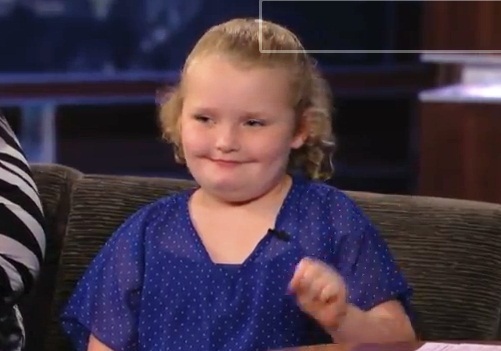 During Monday’s episode of “Jimmy Kimmel Live,” the star of TLC’s “Here Comes Honey Boo Boo” (real name Alana Thompson) said that she would vote for the incumbent over Republican nominee Mitt Romney.